The TA07SR Digital interface will allow you to connect your aftermarket radio to a Toyota JBL/Premium sound audio system. 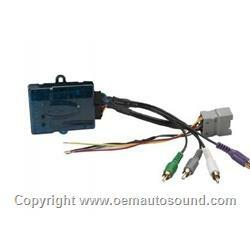 The TA07SR is designed to be used with any aftermarket radio equiped with standard RCA output connections. This wiring interface does not retain factory installed Satellite radio.